As outlined in the '9tro from 2009 ~ 2012' article, the company has reinvented itself as an online-media, with our web-portal's soft launch on the 31st of January 2013. While the shift to full digitalization was not an easy, it was an inevitable one. Since the advent of the internet, lightening speed communication has allowed communities world wide to interact instantaneously. This fact, linked with technological advancements and innovations in both hardware and software has pushed us (as a global society and as a company) further into the digital realm. No longer are we bound by the logistical and physical handicaps of print-media, plagued with ever-rising production costs and environmentally unfriendly realities. It is here in the digital landscape where the new battlefield has been created, and we have since moved on with the times. A media's primary role in society is to provide accurate and updated information to their readers. As a niche media focused on the automotive industry and where content is king, the importance of captivating features becomes clearer. Since we are about speed, power and performance, the reinvention has seen the company gain new heights in effectively sharing and disseminating information. Rebranded as 9tro Alliance, our web-portal aims at providing the same awesome content loved and desired by fans of both 9tro Magazine and BLACK Magazine. While we will continue to share features and content from around the world into Asia, we also aim to share with the rest of the world what Asia has to offer, specifically, South East Asia. *Our social media platforms have also surpassed all expectations and has since mid-2013, with over 2.6 million fans on Facebook, close to 5 million video views on YouTube and 70 thousand followers on Instagram, we reach out to as many as 7 million people a week. Likewise, our web-portal continues to grow exponentially with over 2 million readers/visitors a year according to Google, while Alexa continues to rank us as one of the region's strongest. Our 'Media Division' saw expansion beyond the strongholds of South East Asia and Europe. 3Q2013 saw us establish our second satellite office in the Philippines (after Malaysia in 1Q2012), while we further bolstered our position in Japan by 1Q2014, markets crucial for car manufacturers, tuners and most importantly our readers. Such expansions solidifies our media credibility and boosts our brand equity, all the while allowing for stronger networking between businesses and consumers within the region, as well as improving diversity, quality and quantity of content. With full-time and part-time staff in Singapore, Malaysia, the Philippines, Japan, Hong Kong, Spain and the United Kingdom, alongside strategic partnership with other media brands from countries such as Australia, Denmark and the United States. Our 'Media Division' will continue to serve as the core of our company. Early 2014 witnessed our return to the realm of print-media, with the launch of our first ever hard-cover coffee table book titled 9tro BLACK Edition (Vol. 1). This limited-edition is the first of a series and will be produced and published annually, loaded with exclusive content which will continue to stir emotions and passions for years to come. 9tro BLACK Edition (Vol. 2) was published a year later in 2015, with plans for future publications already in the planning stage. The 'motorcycles/motorbikes' category was reintroduced to our content-list back in 2Q2015, an important aspect of motoring which used to be a monthly staple in our printed BLACK Magazine. This reintroduction broadened not just our readership, but also increased our dynamism when working with relevant businesses. Aside from regular media coverage, we have also been involved as Official Media and/or Official Media Partner for many of these events, elevating us in the eyes of many as not just an accredited media, but as a credible media agency. Our 'Events Division' has also stepped up a notch, continually organizing events and strategically participating in relevant ones. These synergistic events organized and participated, adds tangible value and returns to their advertising and marketing campaigns; as well as our annual meets and shows, which has been advantageous for consumers, our clients and the automotive industry as a whole. Branded under 9tro, we have organized educational workshops, meet and greet sessions, short/long distance drives, and of course our annual 9tro Alliance Meet which since 2012, have spread to countries such as Malaysia and the Philippines. We are also the first media brand from the region to successfully set up booth and participate in regional events such as Tokyo Auto Salon and Osaka Auto Messe. All of these event organization and participation are made possible via mutually-beneficial collaborations and strategic partnerships with industry-leaders, many of whom are also clients. We do not just report and cover events, we also organize and participate! Our 'Motorsports Division' (rebranded as '9tro Racing' in 2012) has also made deeper in-roads into the competitive sport of Fédération Internationale de l'Automobile (FIA) regulated motor-racing. We have competed in regional sprint races (such as the Malaysian Super Series and Singapore Touring Car Challenge) and international endurance races (such as 24Hours of Dubai, 24Hours of Silverstone, 24Hours of Barcelona, 12Hours of Mugello and 12Hours of Sepang). Such participation serves to broaden our understanding and knowledge of the motorsports industry, both from a global and also in-depth perspectives, allowing for better content abilities by our 'Media Division', while furthering our brand positioning and exposure. 2016 saw us participate and successfully win the championship-in-class for the Sepang 1000km Endurance Race, further reinforcing our position as a credible media platform. We do not just report and cover races, we also participate and win! 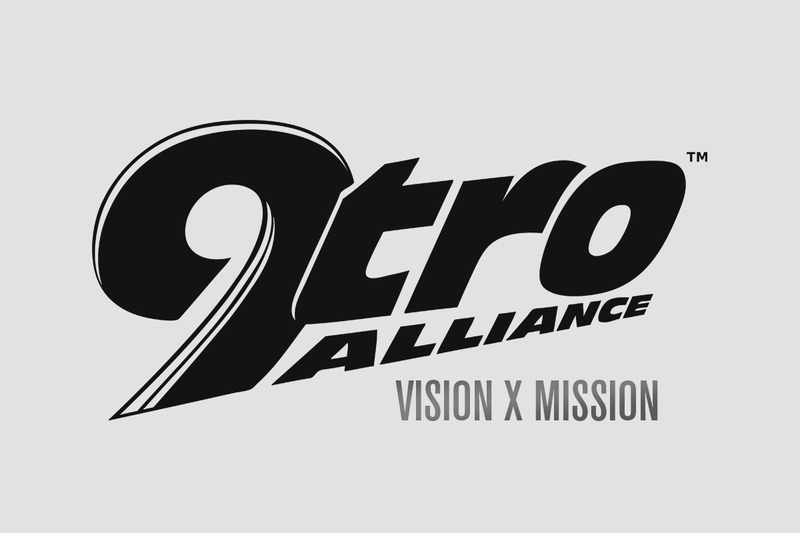 Launched in 2Q2013, Alliance by 9tro (renamed 9tro STYLE in 3Q2017) is the company's brand for all 9tro merchandise. Designing and creating not just 9tro branded street-wear apparel, accessories and other merchandise, 9tro STYLE also helps further increase the company's brand awareness and in essences, help build a more cohesive community for likeminded enthusiasts. 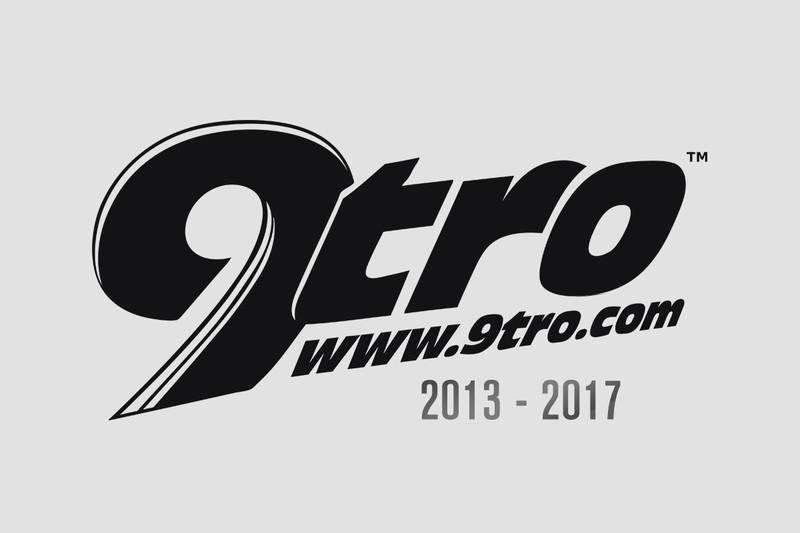 For many such as ourselves, the love for cars and motorcycles transcends passion, it is also very much a lifestyle, and 9tro STYLE aims to enrich it to the next level. The online shop (currently being restructured) may also be leveraged by collaborating partners to market and promote their products, effectively building a win-win scenario for both businesses and consumers. Our support for local and regional motorsports, exhibitions and other automotive/motorcycle related events will also continue to be apparent with our media coverage, participation and involvement. Together with effective marketing and leveraging on the vast wealth of experiences gained, the company will continue to strive hard towards achieving its never-ending goals!